CAF MiiRA is a worldwide reference in the supply of critical elements and complete solutions for rolling gear and coupling systems, providing state-of-the-art engineering, manufacturing and maintenance capabilities for a complete portfolio of extensively proven solutions in the railway sector. 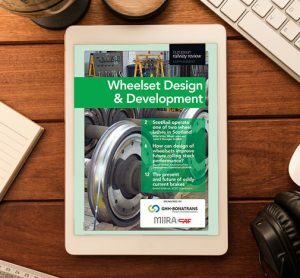 Currently MiiRA is supplying all type of complete wheelsets; monobloc and resilient wheels, axles and gearboxes, besides an extensive portfolio of couplers for any rolling stock, from locos or freight to light rail vehicles or high speed. 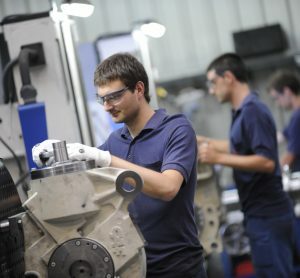 Our focus is the design of new products and the continuous improvement of our portfolio of solutions, With a wide Technology Plan defined in CAF Groups’ R&D area, nowadays, CAF MiiRA is the only manufacturer of wheels and axles capable of delivering the complete wheelset, including gearbox, with a complete design. Being a member of the CAF Group, MiiRA has a vast understanding of detailed behavioural knowledge of its products in vehicle revenue service, allowing for constant product evolution and development. Additionally, the deep knowhow we have in house of each of the wheelset components and their interface with the bogie as a rolling stock manufacturer also permits to continue optimizing our products. But during the last years, all this know-how has not only been focused on the design of new products or in the progress of the projects inside the Technology Plan, but also in the optimization of the Live Cycle Cost of our products during its complete live-time in service. Being capable of designing our own drawings and materials, with the feedback of the use in service of the materials and the information obtained during the maintenance operations of the wheelsets, CAF MiiRA is capable of offering its customers the best service and the most competitive portfolio in the long-term. The production capability of MiiRA comprises all the forging, heat treatment, machining and quality control processes for wheels and axles, that have been operating internally since 1929. During the last years, the facilities have evolved, with an important investment level, into completely automated state of the art lean manufacturing based production lines for both our core products. Additionally, all the assembly for the wheelsets, the gearboxes and the couplers is also managed internally in CAF MiiRA with complete new and in-house developed assembly equipment based on lean manufacturing philosophy. Our automated data collection systems throughout the whole process also allow us assuring traceability and the best quality levels. The manufacture of all the subcomponents for these assembly products not produced internally is outsourced to strategic partners developed by our experts to be included in our supply chain. CAF MiiRA’s facilities comprises as well all the necessary machinery and equipment for the integral maintenance of complete wheelsets of any type. Besides our subsidiary Rifer in Milan, Italy, is also fully equipped to offer the best and more efficient maintenance services for all maintenance levels according to the required standards or customer specifications. The inspection facilities are prepared to perform all the quality tests required for all our product portfolio. Being able of performing all the material tests in an in-house laboratory with complete and modern facilities that have been externally certified according to the EN17025. All these state of the art facilities and installations provide absolute control on quality and delivery time of the complete product portfolio, unique in the market. CAF MiiRA is, therefore, an enterprise with a good rolling and the desire to continue moving forward. 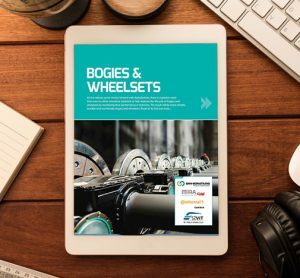 How can design of wheelsets improve future rolling stock performance?